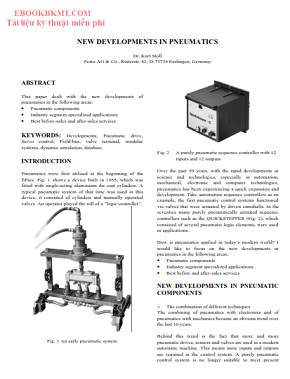 Pneumatics were first utilised at the beginning of the fifties. Fig. 1 shows a device built in 1955, which was fitted with single-acting aluminium die cast cylinders. A typical pneumatic system of that time was used in this device; it consisted of cylinders and manually operated valves. An operator played the roll of a “logic controller”.